On an uninhabited island, United Nations scientists experiment with changing the climate, cooling desert temperatures to provide more fertile land for growing crops. Unfortunately, the experiment takes an accidental tragic turn when a radioactive burst emits a thunderstorm of fire. Huge native praying mantises suddenly grow to 160 feet, tearing the island apartuntil they uncover a monstrous-sized egg. The egg hatches and the shocked scientists are confronted by a baby Godzilla. 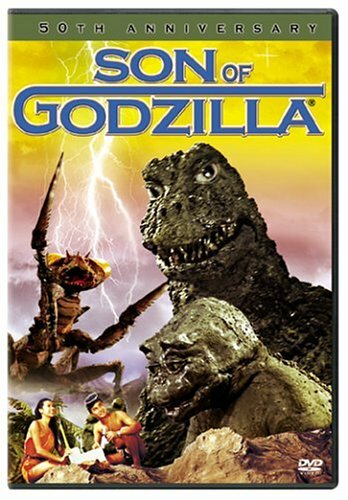 The infant'sscreams bring his father to the rescue and now the original Godzilla(r) and his son want revenge. What will it take to stop them? If you have any questions about this product by Son, contact us by completing and submitting the form below. If you are looking for a specif part number, please include it with your message.